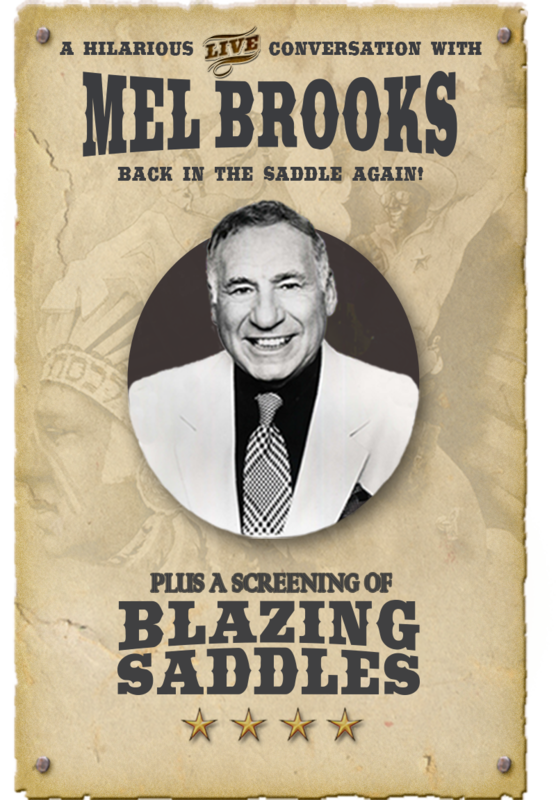 Join the incomparable Mel Brooks for an exclusive, inside look at his storied career, and the making of the legendary and groundbreaking movie Blazing Saddles. This outrageous masterpiece, considered one of the top comedy films of all time, will be presented on the big screen followed by a live conversation and audience Q&A with Mel Brooks himself. Somebody give the Governor a harrumph! Memorable and monumental, Mel Brooks and Blazing Saddles…back in the saddle again. Copyright The Backlot Project 2018.